Work by CLAIR Gallery artist Eikoh Hosoe was included in an extraordinary exhibition at the Weltkunstzimmer that explored the complex beauty and art of Butoh dance. The Butoh Photography exhibition at the Weltkunstzimmer contemporary art centre in Düsseldorf, Germany ran from February 11, 2016 to March 12, 2016. 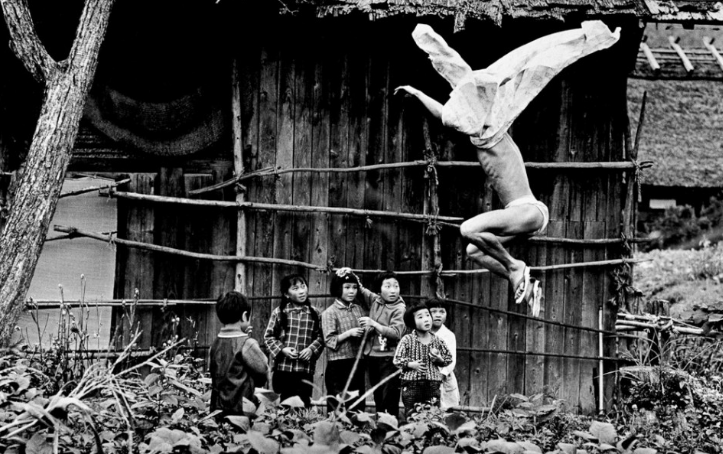 Eikoh Hosoe (b. 1933, Yonezawa, Japan) is an experimental artist who has spent more than 50 years demonstrating his unique mastery of the photographic medium. He became involved in several celebrated Butoh dance projects in the 1960s. More information about the work of Eikoh Hose can be found on his artist page. The Weltkunstzimmer is an interdisciplinary arts centre with a focus on visual arts, music, and performance. It opened in Düsseldorf in 2012 in conjunction with the Hans Peter Zimmer Foundation. More information here.